This post contains affiliate links. See affiliate disclaimer here. There are countless ways to make money online, and many of them can help pay the bills or even become your full-time hustle (I mean working from home seems pretty great doesn’t it?). Now obviously Amazon isn’t the only income we make while traveling full-time. I mean, $300 is enough to pay a lot of the bills, but it won’t pay our rent. But it’s still enough to help lighten the load of many people dealing with financial struggles. And you can even make more than we have with Amazon! To be honest, it’s not our main focus, but it can be yours! 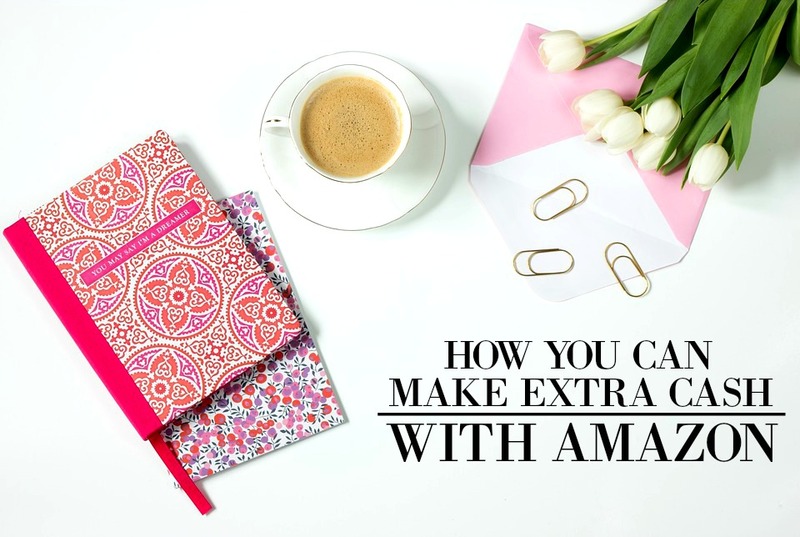 So here is how we make extra cash with Amazon! Now if you have a blog or you’re thinking about making one, then this is a great option. In just 4 months after starting ours, my husband and I made it our full-time job and we couldn’t be happier. However, if you don’t know much about blogging, then check out some of the posts below. They’ll guide you and give you REAL TIPS on how to get started with a money making blog. WARNING: These are actual steps that’ll help you make great income within months. This is NOT fluff, these are tips that’ll actually help you. Now what is Amazon Affiliates? Well Amazon has given bloggers (and article writers) the option to get a certain percentage of income when a reader clicks through their link to buy a product they recommend. That link has your special tracking code so that Amazon knows who sent that potential buyer. And guess what? Even if they don’t buy that product, Amazon will still give you a percentage of any other purchases they make within a couple days (it’s a really great insight into what your readers take interest in). So how to become one? Well it’s free and super easy! All you have to do is sign up here and you’re all set! If you’re just recommending any product to make a sale, two things might happen. One: The buyer might not purchase it because they’ll know you’re just trying to make a sale off of them. Make sure you write a very convincing reason as to why they need this in their lives. Second: If they buy it and it turns out to not be a good product, they’ll realize that you were just trying to make a quick buck. All trust will have been lost and they’ll probably never read from you again. So make sure that you’re selling them on something that you know to be great. Remember how Amazon tracks what people buy after clicking through your link? Well make sure you pay attention to that. It’s super important because it lets you know what they’re interested in and what you can sell them next time. So let’s just say you have a photography site and you recommend a specific camera. Well that person might go on to purchase that camera and plenty of other photography supplies. Take note, and you’ll be sure to make plenty of sales when recommending products that many others like (ESPECIALLY around Christmas time). Now if you have any question on Amazon affiliates and affiliate marketing in general, let me know in the comments down below! I’d love to hear about them!